Working for social impact was a goal that I hoped I would be able to achieve before I turned 30. Fortunately, it happened at 26. 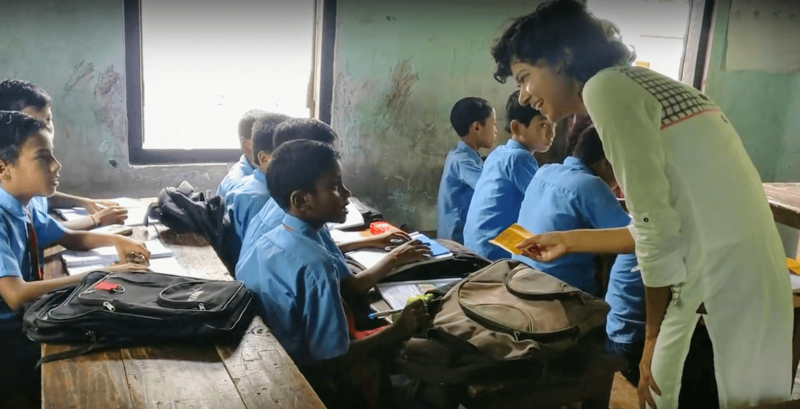 When I got the opportunity to work with Swaniti Initiative, an organization working towards making the government administration more robust, I jumped at it. Working for the past few moths with a progressive parliamentarian, cooperative district officials, paddy fields and little children who think I am Babita from “Dangal” – Golaghat turned out to be a poster-boy for developmental work. I’m glad I jumped. Golaghat district lies in Upper Assam, where 87% of the population lives in rural areas. Farming of paddy and tea are the main source of employment. Education levels are high but employment opportunities are few, with anaemia and malnutrition rates being one of the highest in the country. So far, I have interacted with over 75 Aanganwadi workers, visited 7 schools, and met with district officials from 13 departments, in order to understand the existing government machinery. Honourable Member of Parliament, Mr. Gaurav Gogoi, of Kaliabor constituency, is a young MP with a Masters in Public Administration from New York University. His background as an engineer and consultant, as well as his extensive experience as a social worker, has allowed him to approach politics with the same tools corporate India uses – analytics, big data and disruptive ideas. He was so impressed with the model that Swaniti follows that he asked me to encourage college students in Golaghat district to select development challenges and give solutions that are practical and implementable. As a result, I have interacted with students from 15 government colleges in the district, and 22 teams have decided to take on the ‘MP Development Challenge’. Students have chosen important development areas like the quality of primary education, impurities in the river water, problems faced by farmers and public health infrastructure, amongst various others. What is more, professors have decided to support their college teams and are helping them conduct interviews, design questionnaires and guide them with writing reports. I have got a chance to understand the youth of Golaghat, learn what they aspire to become, and have been acquainted with their problems. Through the MP Development Challenge, the aim is to empower 132 participating students to become drivers of change. The process will not end with the students verbalising their problems. Through a structured program, research, training, and a chance to engage with the MP – they will be able to take tangible steps towards resolving them. The finale was held on 10th April 2017, where 8 selected teams presented their solutions to Mr. Gaurav Gogoi, the District Education Officer Dr. Larambhuja, Ms. Manisha Borkotoky an expert in education and skilling initiatives and Dr. Debjoit Boruah a professor in Agriculture. Indira, Aditya, Sanjib and Korobi from Joya Gogoi College won the development challenge. They wanted to improve paddy production in their village, Jarpai Nagaon. With these young change-makers, we on-boarded 7 farmers and worked towards reducing the current costs involved in paddy production. Mr. Sameer Bordoloi, Agripreneur and agricultural expert mentored us and we were able to reduce costs by using bio-fertilisers, bio-pesticides and traditional seeds. By hiring a tractor for all seven fields together, we further reduced tilling and ploughing costs. The seeds were sown in June and the harvest is expected in January 2018. The crop is growing well and the farmers and students are happy about bringing ground-level change. We were able to reduce the cost per bigha by 28%. The previous year, the total cost for producing 100 tonnes of rice across 20 bighas was Rs. 70,000 and with our intervention, we saved Rs. 20,000. We are now working on starting a vermi–comopost pit to help college students value the resources they have in their farmlands and market this to increase their household incomes.